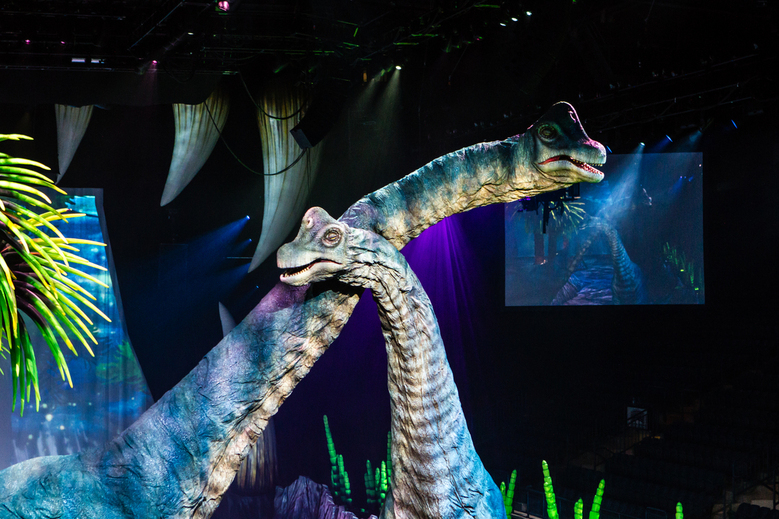 On Friday night, all we had to do was walk into the Manchester Arena, take a seat and watch the magic unfold at Walking with Dinosaurs- The Arena Spectacular. Hosted by a palaeontologist named Huxley, played by Michaela Strachan, we are lead through the prehistoric world- starting with Pangea. 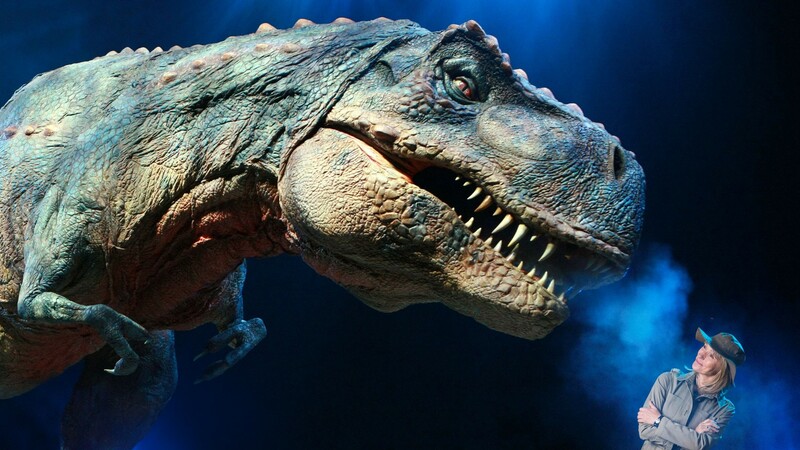 Based on the BBC’s hit show, Walking with Dinosaurs, Huxley tells us of the first dinosaurs to walk the earth. Being the only human character in the show, the audience (made up of mostly youngsters) aren’t too fascinated by her spiel initially. But when the first dinosaur emerges, gasps radiate throughout the arena. The life size dinosaurs are immensely realistic from not only their size, but the sheer attention to detail in their bodies; they have wrinkles, muscle definition and they even blink! It’s definitely the closest that the 21st century audience will get to the real deal. The show almost feels like a scene out of Jurassic Park at times. The audience scream, gaze in awe and laugh at the dinosaurs and when they approach the crowd, a sea of smartphones lights up the air to capture the moment. 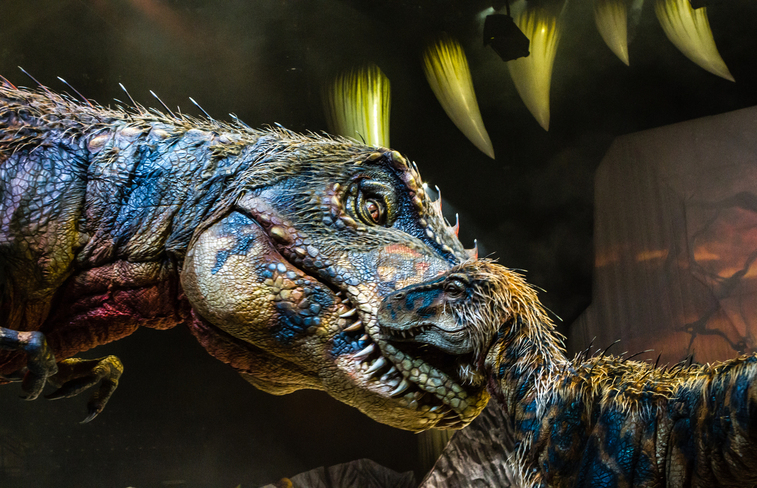 The £15 million show boasts a whopping number of 18 dinosaurs, although it’s easy to lose count whilst fixated in admiration at the magnificent creatures. And whilst the younger crowd might only be interested in seeing the dinosaurs, Strachan’s textbook narration proves both entertaining and educational for the older children and adults of the audience. The audience learn about clashes between the herbivores and carnivores through the years and their defence mechanisms, but also explains why evolution appeared amongst dinosaurs.